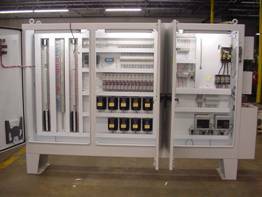 Electrical panels designed, manufactured, tested and certified on-site. We are UL Certified in the US and Canada and build to NFPA 70E Codes and Standards. 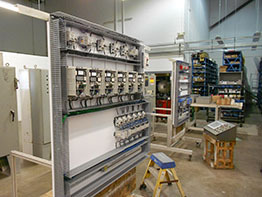 PLC and HMI programming, conversion and integration. Complete machine rewiring and full documentation. We specialize in remanufacturing used machinery to production ready or like new condition mechanically and electrically. SMB’s experience with retrofitting older machinery is unmatched. 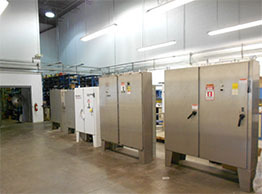 In project after project the SMB Controls Department has added years of new life to and expanded the functionality of many types of used machinery. Retrofitting existing machines and process lines with new controls can create tremendous savings for our customers, enabling them to improve their position in a competitive market. Designed, assembled and tested on-site. Specialties include automation of single lines to entire plants, line redesign and remediation and line removal, relocation and reinstallation. 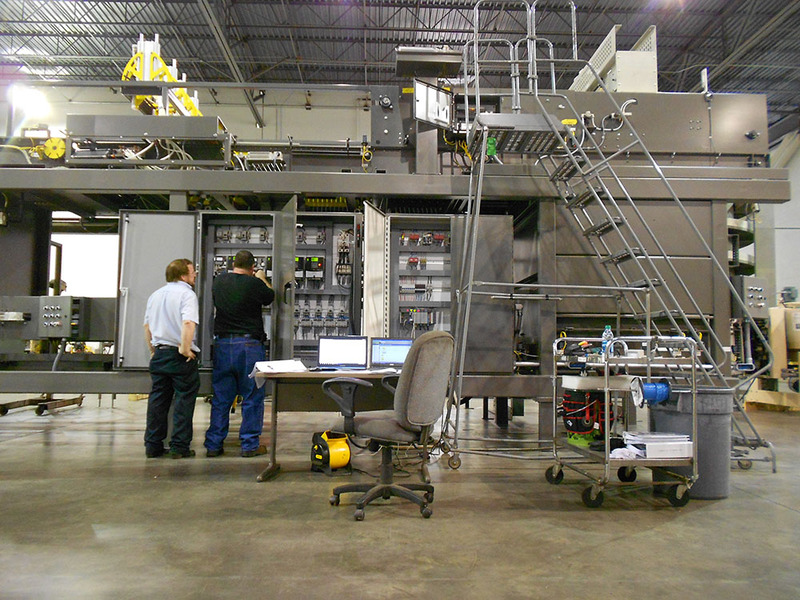 Some of the top soft drink manufacturers, beer and wine producers, poultry processors and automobile manufacturers in the world have all trusted our staff with the duty of automating their production lines.